New for 2015: A selection of new bike tours in Italy! We offer a variety of Guided bike tours for small groups and individuals in Tuscany, Umbria ~ the green heart of Italy; Enchanting Puglia ~ often referred to as the the ‘heel’ of Italy and on the beautiful island of Sardinia. Each of our guided tours have set departure dates so please take a look at the itineraries for more details. Our guides are intimately acquainted with each region and can take you off the beaten track to uncover those hidden gems! If you prefer to travel alone or would like a more flexible schedule, you can choose from one of our Self Guided tours. These are designed for the more independant minded cyclist but do come with lost of maps, local details and historical references so you don’t miss out! 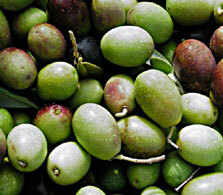 On one of our Culinary Bike tours in Puglia (voted best bike tour destination in 2014 by National Geographic), Sardinia and Tuscany, where each day has a special destination that will satisfy your curiosity and your palate: a wine tasting in the cellar, a pecorino or mozzarella cheese tasting in a farm, olive oil tasting at the mill, cooking lessons with award winning chefs. 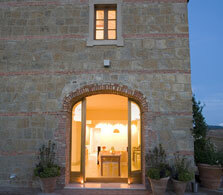 We offer a complete immersion in Italian food culture! Come join us! Our Private tour range, offer you the opportunity to combine a Guided tour with a private departure: you can select tour dates that best suit your small group of family or friends, and we can run this for our as a Private departure. Contact us at tours@cyclewest.com for more details. See below for more details….. Celebrating an anniversary or wish to Honeymoon in Italy? Or simply planning a small group getaway for family and friends? Create your own Private Tour in Italy that includes everything you want, where, when, and how you want it, to share with whomever you choose. Select any existing Italy itinerary and turn it into a private trip, or design your own adventure – we'll apply our style and customize it to be everything you dreamed of, and more. Italy has always been a synonym for "good food," offering an unmistakable explosion of flavors, scents, and aromas. Aside from having some of the most famous flavours in the world, it also provides an immense variety of different regional dishes and recipes. Come join us on one of our clinary bike tours in Italy and experience the ancient and simple food inspired by classic Italian cooking. Be inspired! 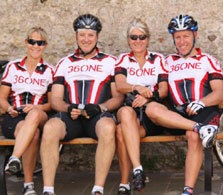 Would you like a bike adventure where you can join a group of fellow cyclists? Every tour is a hand-crafted experience by our elite team of trip designers, highlighting the best of each region. Our guided tours offer a level of flexibility that gives you individual attention, culinary delights and authentic, carefully selected accommodations. Discover Italy on your own, by bike, at your own pace, without having to join a group. 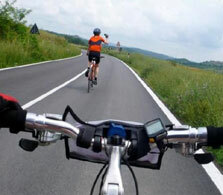 We have the perfect solution for you: self guided Bike Tours offer you detailed itineraries. Our self-guided bike tours offer you the independence to travel at your own pace on the dates you choose, over time tested routes while staying in delightful lodgings along the way and exploring the culture and the cuisine at your leisure. 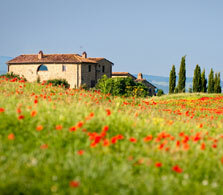 Bike and trek among the hill towns of Tuscany with your own private itinerary and Villa. Stop to taste bruschetta and wine, view renaissance frescoes and medieval towers, take a Brunello & Nobile Wine tour, sightsee with your own personal historical guide in Siena or arrange a personal Chef to prepare delicious Tuscan specialties at the villa and teach you the secrets of Regional cooking.